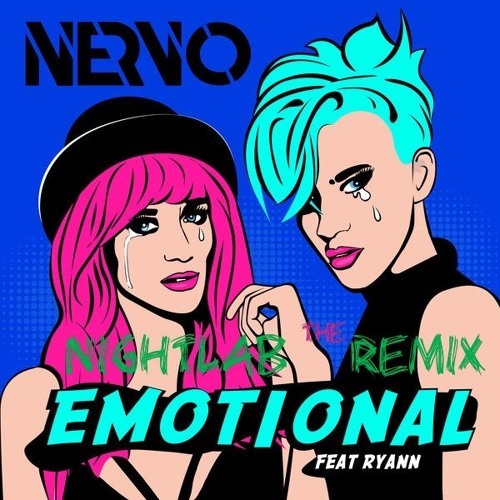 FOR RE- MIX CONTEST Celebrating the recent release of the amazing ‘Emotional’ by NERVO featuring Ryann, we’ve teamed up with NERVO and Dirty Panda Music to launch a fantastic remix competition to give YOU the chance to put your own unique spin on this sensational release! What’s more – the top 5 remix entries will WIN a brand new pair of Sennheiser Ambeo Smart Headset headphones (worth $299.95 – see below)! Sign up below and receive the official remix stems from the original release of ‘Emotional’ featuring Ryann by NERVO, 50MB of free samples from Sample Tools by Cr2, and a 50% off coupon code for one-time use on any Sample Tools by Cr2 sample pack from our online store. We are looking for 5 genre style submissions (submit 1 or more remixes for your particular production style or choice): 1. House 2. Big Room / Progressive house 3. Trap / Dubstep / Future Bass 4. Pop / Dance 5. Indie Dance / Nu Disco NOTE: You MUST submit a private Soundcloud link, we will not accept any publicly uploaded remixes. DEADLINE FOR SUBMISSIONS: Monday 21st January 2019 THE WINNER WILL RECEIVE: 1. (Top 5 entries) brand new pair of Sennheiser Ambeo Smart Headset headphones ($299.95 RRP each – see below), 2. Placement as part of the official remix package alongside NERVO and several other huge artists on Dirty Panda Music for release early 2019 on all digital stores worldwide, 3. Promotion on NERVO, Dirty Panda Music, Cr2 Records and Sample Tools by Cr2 social networks and mailing lists – exposure to MILLIONS of fans worldwide – fantastic promotion for any aspiring artist! 4. Promotion of your remix on the Cr2 Records Weekly radio show (syndicated to over 20 million people in more than 80 countries worldwide), 5. A free Master and Feedback service for one of your personal productions (https://www.sampletoolsbycr2.com/mastering/), 6. Two free sample packs of your choice from our Sample Tools by Cr2 online store.